These popular bedding plants are very easy to grow and make fine cut flowers. 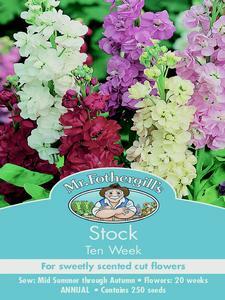 The brightlycolouredblooms, many of them double, are delightful in garden borders and have a splendid scent. A half hardy annual, flowering the same year in sun or partial shade. 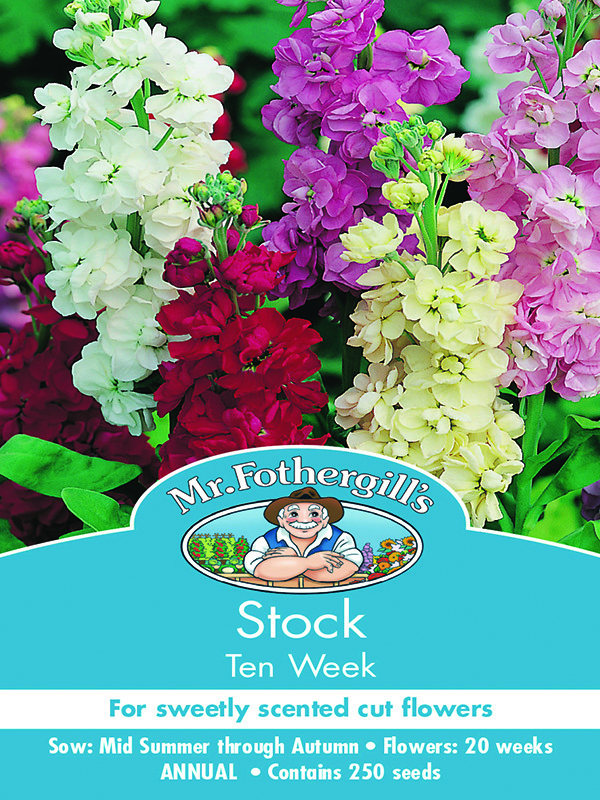 We hope you enjoy these Stock Dwarf seeds, just another great example of flower seeds from MrFothergill’s! Sow 0.25in (0.5cm) deep in flowering position. Keep soil moist. Thin out to 12in (30cm) apart.